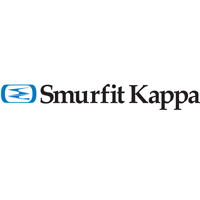 The stock price for Smurfit Kappa Group Plc ticker code: LON:SKG has climbed 3.1% or 70 points during the course of today’s session so far. Buyers have stayed positive throughout the trading session. The periods high figure was 2358 dropping as low as 2248. The total volume of shares exchanged through this period comes to 215,112 while the daily average number of shares exchanged is 514,387. The 52 week high for the share price is 3308 which is 1050 points different to the previous business close and a 52 week low sitting at 1915 a difference of some 343 points. Smurfit Kappa Group Plc has a 20 day moving average of 2211 and the 50 day simple moving average now of 2162.87. The market capitalisation is now £6,034.42m at the time of this report. The currency for this stock is Great British pence.Market cap is measured in GBP. This article was written with the last trade for Smurfit Kappa Group Plc being recorded at Wednesday, January 30, 2019 at 12:04:19 PM GMT with the stock price trading at 2328 GBX. The stock price for Royal Dutch Shell Plc Class B company symbol: LON:RDSB has increased 2.32% or 52.17 points during the course of today’s session so far. Traders seem confident during this period. Range high for the period has seen 2302.5 and a low of 2260.5. The total volume of shares exchanged through this period comes to 1,468,526 whilst the daily average number of shares exchanged is just 4,769,767. The stock 52 week high is 2845.5 about 597 points difference from the previous days close and the 52 week low at 2142.5 which is a variance of 106 points. Royal Dutch Shell Plc Class B now has a 20 SMA of 2375.65 and the 50 day moving average now at 2382.31. This puts the market capitalisation now at £215,293.51m at the time of this report. The currency for this stock is Great British pence.Market cap is measured in GBP. 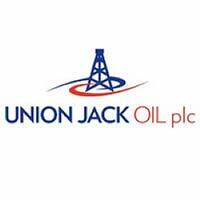 This article was written with the last trade for Royal Dutch Shell Plc Class B being recorded at Wednesday, January 30, 2019 at 12:04:57 PM GMT with the stock price trading at 2300.67 GBX. The share price for SCHRODERS/PAR VTG FPD 1 EPIC code: LON:SDR has climbed 1.56% or 40.91 points during the course of today’s session so far. Traders are a positive bunch while the stock has been in play. The period high was 2667 meanwhile the session low reached 2627. The amount of shares exchanged has so far reached 44,683 with the daily average at 380,928. The 52 week high for the shares is 3769 amounting to 1146 points in difference to the previous days close of business and a 52 week low sitting at 2289 which is a variance of 334 points. SCHRODERS/PAR VTG FPD 1 now has a 20 simple moving average of 2618.2 and now a 50 day moving average now of 2544.02. The market capitalisation currently stands at £7,226.15m at the time of this report. The currency for this stock is GBX. Market cap is measured in GBP. This article was written with the last trade for SCHRODERS/PAR VTG FPD 1 being recorded at Wednesday, January 30, 2019 at 12:03:15 PM GMT with the stock price trading at 2663.91 GBX. Shares in Scottish Mortgage Investment Trust PLC EPIC code: LON:SMT has stepped up 1.57% or 7.3 points in today’s trading session so far. Investors have remained optimistic during the trading session. Range high for the period has seen 473.25 dipping to 468.6. Volume total for shares traded at this point reached 258,728 whilst the average number of shares exchanged is 1,805,702. A 52 week high for the stock is 569.31 around 103.61 points difference from the previous close and the 52 week low at 414.2 which is a difference of 51.5 points. Scottish Mortgage Investment Trust PLC has a 20 SMA of 478.95 and now its 50 day moving average now at 481.57. The market cap now stands at £6,940.83m at the time of this report. The stock is traded in GBX. Mcap is measured in GBP. This article was written with the last trade for Scottish Mortgage Investment Trust PLC being recorded at Wednesday, January 30, 2019 at 12:02:16 PM GMT with the stock price trading at 473 GBX. Shares of SEGRO plc ticker code: LON:SGRO has risen 1.11% or 7.2 points during today’s session so far. Market buyers have so far held a positive outlook throughout the trading session. The high for the period has peaked at 657.8 dipping to 646.4. Volume total for shares traded during this period was 339,063 with the daily average at 2,402,670. The 52 week high is 682.4 amounting to 32.2 points different to the previous business close and a 52 week low sitting at 546.2 making a difference of 104 points. SEGRO plc now has a 20 simple moving average of 625.87 and now a 50 day MA at 616.42. The market capitalisation currently stands at £6,662.77m at the time of this report. Share price is traded in GBX. Mcap is measured in GBP. This article was written with the last trade for SEGRO plc being recorded at Wednesday, January 30, 2019 at 12:03:26 PM GMT with the stock price trading at 657.4 GBX. The stock price for SSE PLC company symbol: LON:SSE has stepped up 1.09% or 12.5 points in today’s trading session so far. Market buyers have remained optimistic during this period. The periods high has reached 1165 and hitting a low of 1149. The amount of shares exchanged has so far reached 572,784 with the daily average at 3,652,671. The 52 week high price for the shares is 1449.5 equating to 297.5 points difference from the previous days close and the 52 week low at 1026.5 a difference of some 125.5 points. SSE PLC now has a 20 moving average of 1129.93 and a 50 day moving average of 1111.07. The market cap now stands at £11,959.16m at the time of this report. The stock is traded in GBX. Mcap is measured in GBP. This article was written with the last trade for SSE PLC being recorded at Wednesday, January 30, 2019 at 12:05:00 PM GMT with the stock price trading at 1164.5 GBX. Click RDSB SDR SGRO SKG SMT SSE for the full archive.